There is no education to prepare us for the role of a caregiver or a care receiver. As in many aspects of life there are lessons to be learned and a lot of bumps and bruises that occur along the way. The challenge with caregiving and care receiving is that needs are usually immediate. Decisions have to be made. There are no “do-overs.” Practice doesn’t always make perfect. Those involved in care situations are often emotional rather than rational. The healthcare system is a maze requiring skilled navigation in order to be successful. It’s impossible to know what you don’t know and what questions to ask when you are in unfamiliar caregiving territory. Not asking the right (or enough) questions. How many times does experience come with 20:20 hindsight when we realize that we didn’t ask the right questions or didn’t know what we didn’t know? Nowhere is this more evident in healthcare and care situations. A simple question, “what questions should I be asking that I’m not asking?” goes a long way toward preventing possible mistakes or errors in care. Ask the question and then ask it again, and again, and again until you feel satisfied that you have a good understanding of the issues, the options, and the possible consequences of a decision. Naiveté—assuming that everything will be okay. Parents don’t want adult children to know everything about their lives. This includes day-to-day activities, health and money. When your parents say “we’re okay—we don’t need any help” this is the time to gently become persistent about identifying methods to provide support and assistance. Otherwise a small situation may spiral out of control to become a major concern. At that point you will need to know everything to provide care and support for a parent. Ignoring the needs of the caregiver. Statistics show that caregiver health and emotional well-being declines in greater proportion than the health and emotional well-being of the care recipient. How could it not? How wonderful is it to have someone who waits on you and fulfills every need (from the perspective of being a parent who receives the care). From the caregiver’s perspective this need fulfillment may involve leaving work early, devoting multiple hours to the care of a parent, sacrificing friendships and pleasurable activities, and giving up a life to devote to the care of another person. If you are a caregiver, set boundaries and stand up for your own needs. If you fail to take this action you may fail your loved one as a caregiver as your health and mental decline may make it impossible for you to provide care—you will become a care recipient. Fear of discussing end of life. “That’s not going to happen to me.” This is an often repeated statement when I am at trade shows and attendees walk by my booth that focuses on receiving care, caregiving, and care planning. Who wants to talk about aging, needing care, and death? No one. This type of denial eventually comes full circle when one needs care and has failed to discuss options or made any plans. Now what? Just because you don’t talk about care or caregiving doesn’t mean it’s not going to happen. Holding discussions when one is healthy allows clear thought, rational planning and more options. Waiting to have discussions until a crises occurs, often results in rapid decisions, potential mistakes and very limited options. Allowing parents to avoid discussions. Talking about care needs can be uncomfortable. Many parents avoid these discussions because they believe “my children will take care of me.” When I ask if the parent has asked children if they will provide care, the response is often “no.” Assumptions about the provision of care are dangerous. Assuming Medicare will pay for all needed care is a faulty assumption. If your parents tend to avoid care discussions, I suggest bringing up the subject weekly—and letting your parents know that you will continue to do this—until they are willing to have a conversation. If it takes weeks, months, or even a year for your parent to be open to the discussion be patient and be persistent. Making promises. Making a promise to care for a loved one is like re-arranging the deck chairs on the Titanic. Promises made will become promises broken. It is impossible to predict future care needs and the ability of an individual to provide care. What happens if the intended caregiver moves 2,000 miles away, becomes ill, or is otherwise unable to devote time to caregiving? What happens if the care needs of the care recipient exceed what is possible to be provided by a family member? Rather than make promises, make a plan and a back-up plan and put it in writing (refer to the next tip). Not putting plans in writing. Vague mentions of “I want,” are usually helpful but not conclusive. Be specific about what you want for your care and also have a plan of how and where the care will be provided. Place this information in writing. Many individuals would love to live in a $10,000 a month assisted living community but for many of us this is financially impossible. Find a professional to explain costs of care and to discuss care planning if you do not have this knowledge. You will avoid surprises and will have a plan and a back-up plan in the event of the unexpected. Avoiding surprises is a good plan. Not completing legal planning. What happens if the unexpected occurs and you are no longer cognitively able to make your own medical decisions or manage your finances? If you have not completed legal documents to establish a trusted individual, you are at the mercy of the court system to make this decision for you. All individuals over the age of 21 should have the legal documents of medical power of attorney including a living will, a financial power of attorney, and a will identifying a personal representative. These documents may be changed over time and by life situations however not having them places one at significant risk if the unexpected occurs. 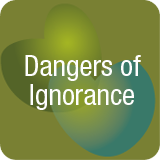 Ignoring a diagnosis or not asking the doctor for a prognosis. Doctors avoid giving bad news. Many provide a diagnosis as part of their daily interactions with patients; many fail to explain the consequences of the diagnosis or discuss important considerations and planning that should occur. Be proactive in asking questions and more questions about a diagnosis including the short and the long term effects of the diagnosis. If you have received a serious diagnosis like cancer or Alzheimer’s disease—ask more questions about life span, treatment options, and consequences of the diagnosis. If you don’t ask, your doctor won’t tell. Allowing family dynamics to prevent needed care. Not all families have positive relationships; today this is more common than not. Don’t allow a parent to deny the other parent care. Don’t allow one child to overrule the concerns of other children. While conflict is unpleasant and difficult, if you were in the situation of needing care and could not speak for yourself you would like want someone to speak and to advocate for you. The frail, elderly, or helpless may not be able to self-advocate. Be the squeaky wheel, be the advocate, and stand up for the needs of a loved one. Be fearless of family members who are intimidating and difficult—they usually have a hidden agenda. 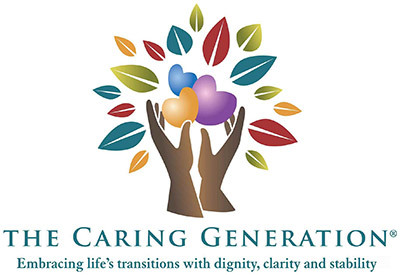 Caregiving and care receiving are challenging territory. Many situations involve difficult and emotional decisions. Not all family members may agree about a care situation. A physician may not want to provide bad news. Talking about situations well in advance has the potential to allow caregivers to avoid many of the common pitfalls. We are not a society who wants to talk about aging, disability, and eventual death. Media paints a glowing picture of retirement that sometimes occurs but more often is beset with the unexpected. By becoming more aware of options and making a plan, caregivers and care receivers can often respond to unexpected and emotional situations with less stress and anxiety. Knowledge and planning offers comfort in even the most challenging situations. Talk now. Plan now.